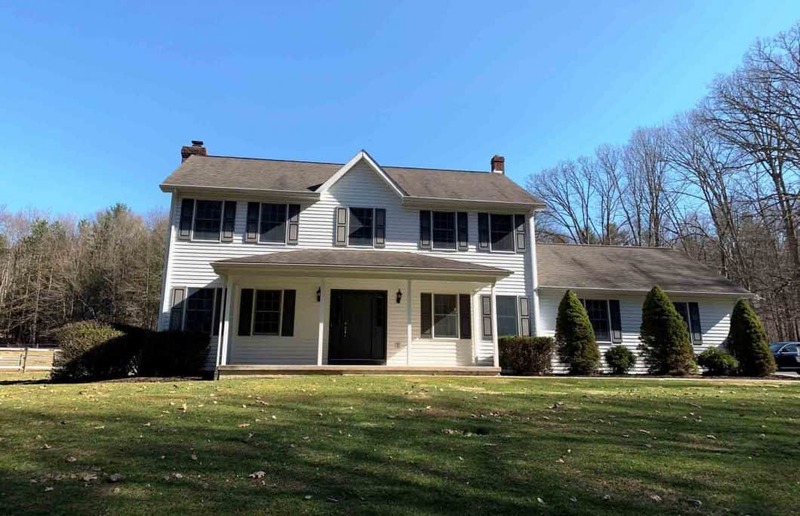 Peaceful farmette with horse barn situated on 7.44 acres that adjoins PA State Game Lands. Quality built by Rider construction and features a formal dining room with an oak floor, custom cabinetry throughout and a delightful covered rear patio off the kitchen. In addition to the house, there is a 45 x 36 horse barn built by Morton Buildings with attached covered loafing area and featuring 4 -12×10 matted horse stalls with turnouts. Inside features a concrete floor and a 22×10 insulated, heated workshop with 6′ ft double door access. The building is easily adaptable to a variety of other uses. Approximately 2 acres are fenced in pasture with high tensile and electric fencing. Sq Footage is per tax card.